On Christmas morning, just after hugs were given and coffee was poured, mom turned to me and said “You’re going to love the editorial page this morning!” This year, the Christmas editorial of the Dallas Morning News featured Little House in the Big Woods! The complete text can be found here. First, I was thrilled to see Laura get such play in the mainstream press–and it wasn’t even Little House on the Prairie! And this article didn’t quite descend into the common trap of “look how much simpler thing were–wouldn’t that be better?” Instead, it really emphasizes the magic of Christmas, no matter what gifts were received. Of course, in my world, Little House is definitely part of the Christmas canon! 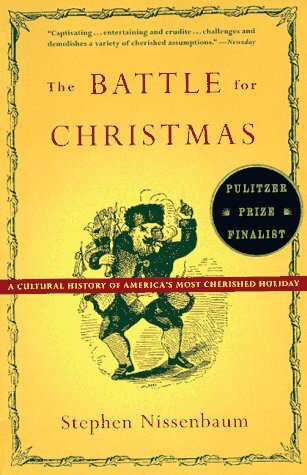 But after reading more than a few Christmas scenes from children’s literature and as I continue with The Battle for Christmas (a history of Christmas celebrations in the 19th century that is fascinating. 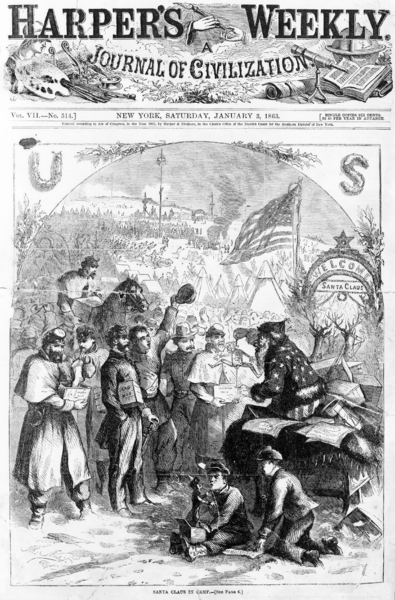 Our current “Christmas wars” have nothing on the 19th century! ), I’m struck with the idea that often the most magical part of Christmas is found around the Christmas tree, with friends and family. It’s the moments that aren’t forced or manufactured. Here’s hoping you had a very merry–and the Christmas joy continues as long as you’d like it to! This Sunday, we’re starting a new tradition at my museum. We’re going to be doing a continuous reading of Christmas scenes from classic children’s books. I CANNOT wait to do this. And I’m being generous and letting one of my volunteers read “Matthew Insists on Puffed Sleeves,” even though that is probably my first choice. Anyway, I thought some of you might like to see the list. Keep in mind that these choices needed to roughly fall within the museum’s time period of 1840-1910. Grahame, Kenneth. The Wind in the Willows. Have any of you ever patiently waited for a child to grow up enough so you could give them a certain, much loved book? That day will finally come to me on Saturday! I don’t have any blood nieces and nephews, but I do tend to adopt little ones. My nephew loves books as much as I do (he’s my official Harry Potter buddy), but I can’t exactly give him all of my favorites. And none of my nieces are particularly bookish, as hard as I try. But Katie, the daughter of a college friend, is bookish and smart and imaginative and an all-around great kid. I last saw her about a year and a half ago and knew she was a prime target to pass Anne on to. After all, Katie even has red hair! Well, now Katie is 8 and will be at my house this weekend. And wrapped under the tree for her is the 100th anniversary edition of Anne, along with Betsy-Tacy Go Downtown. I hope, hope, hope she will love both of them half as much as I do. Part of what makes the books I talk about here so great is that they are so frequently shared across the generations. 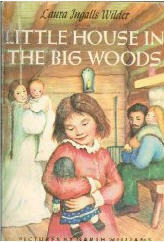 The first copy of Little Women I ever read was a 1930s edition, complete with illustrations by Jesse Wilcox Smith. It had been my aunts’. And that made it more special (even though I quit reading at Part 2 when it got too mushy. I picked it up again a few years later and no longer found it mushy). At any rate, knowing that family had read the exact same book made it more special. What books have you waited to share? Or are eagerly anticipating sharing with kids in your life?